In spite of your taking good care of your house, sometimes unwanted invaders such as fleas, mosquitoes and termites will appear inside your living space. These are harmful creatures that will not do you, your family, or your pets any good. These unwanted invasions are frustrating, but don’t worry, there are ways to get rid of them. Keep reading and you will find useful tips to fight against fleas, mosquitoes and termites in this article. Fleas are dark brown, wingless insects that cannot fly but that possess strong legs with claws on that enable them to leap remarkably far. Difficult to detect with the naked eye, the insects live as parasites on furry hosts, sucking the hosts’ blood and moving from host to host by using their jumping ability. Their life cycle consists of egg, larva, pupa and then adult fleas. They are dangerous as they can transmit serious diseases such as tapeworm or plague. Their bites also cause terrible itching. There are many ways to get rid of fleas from your house, but first and foremost, you need to find the source of the infestation. The host is most likely your pets. The first thing you need to do to deal with the problem is to use flea shampoos or combs. Next, clean up and vacuum your house thoroughly. Sprinkling some salt or baking soda onto the carpet before vacuuming can help to kill and remove fleas completely. Pay special attention to any hidden corners as well as under rugs, carpets, or upholstery. In cases of heavy infestation, you may need to resort to using a flea fogger or pesticide. Be cautious while applying these methods because the fumes are toxic to breathe in. Remember that a flea’s life cycle consists of four stages so you’ve got to apply flea treatments on a regular basis until the problem has been dealt with. This could mean vacuuming and shampooing on weekly or daily intervals until all fleas have been removed from your home. 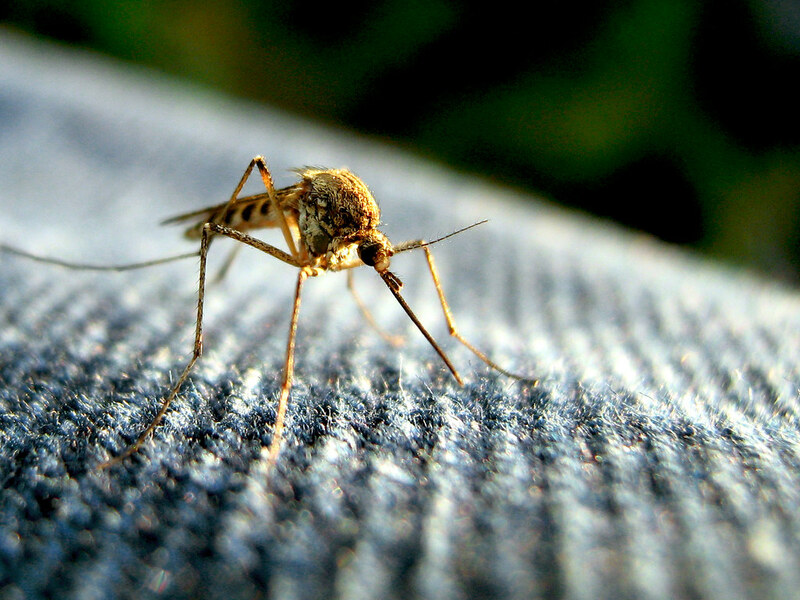 Hot and humid environments are ideal for mosquito breeding and growth, therefore tropical zones are widely known to be infested with mosquitoes. Nevertheless, they can also survive in many other types of climate, even in freezing locations. Like fleas, the mosquitoes’ life cycle consists of the egg, larva, pupa and adult stages. The main difference is that mosquito eggs and larvae live in water before transforming into mature adults that can fly. The females survive by sucking a host’s blood, and in this way can transmit infectious diseases as dengue, yellow fever, and recently Zika. Should your house be invaded by mosquitoes, you need to first treat the source by removing their habitat. Most mosquito control experts looks for any stagnant water around the house and removes it. If the body of water is too large to remove, then pour some oil onto the surface to suffocate the larvae. Additionally, you may repel them them by using garlic, or essential oils such as citronella. You can also trap them with special lights. Check your doors and windows to make sure there are no holes or tears where mosquitoes can enter the house. Sleep with a mosquito net over yourself at night or else apply some oil-based repellent onto your skin to protect yourself. As one of the most successful insects on Earth, termites are present in almost every corner of the world, except Antarctica. 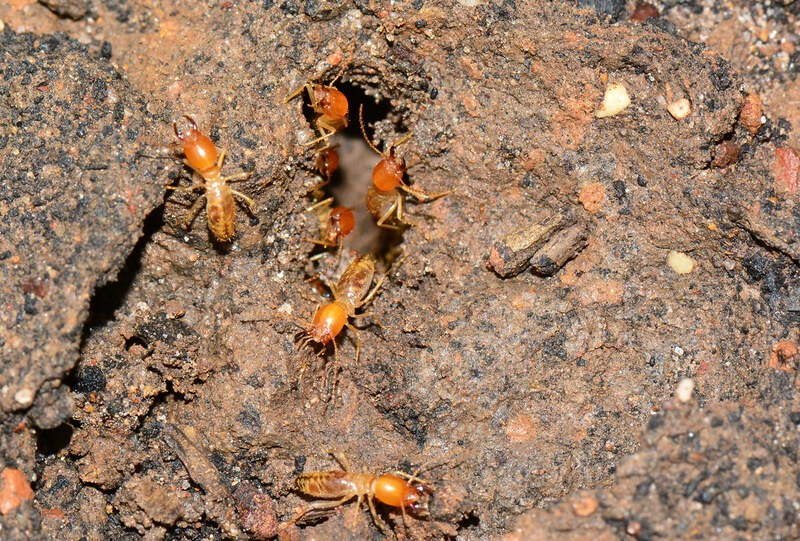 In their society, the termite queen plays the important role of breeding while the rest of the colony collects food, builds the nest or guards the queen and infant termites. Before turning into adult termites, they undergo the stages of being an egg and then a nymph – an incomplete metamorphosis. Termites may not attack humans directly, but they are the number one destroyer of wooden items in your home. You may not be aware of them, but they could be eating up your wooden ceilings, doors and cupboards. Noticing the presence of termites in your house as soon as possible is the key to getting rid of them. The early signs could be cracked or bubbled paint, hollow wood, or some mud tubes. When it comes to getting rid of termites, you’ve got to remove their food sources first, which means clearing away firewood piles, debris or lumber around the house foundation. By doing this, you may stop termites from beginning a colony right there. To deal with existing ones, first look for non-toxic measures to treat termites such as building a barrier along the house foundation or using fungi and nematodes. These are available online or from garden shops. Alternatively, chemical products such as pesticides or material treated with termite repellent will definitely help to fight against an infestation. We never expect harmful insects like fleas, mosquitoes or termites to invade our homes, but if you ever face such an infestation you can refer to the above- mentioned guides to help you get rid of them. Keeping your home and garden clean and well-organized will go a long way to reducing the risk of these insects becoming a problem for you.